CAEP Alumni- Where Are You Now? Has your training helped you find a job? Have you traveled much since your exchange experience? Has your CAEP experience helped you achieve your career goals or helped you get where you are now? What CAEP training program were you on and what was your favorite memory? What advice would you give to future CAEP participants? 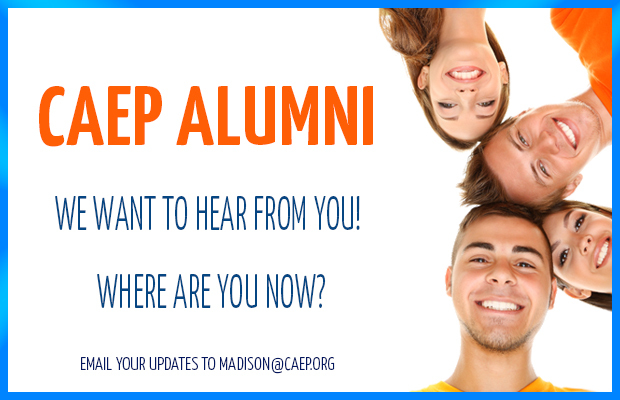 Please submit your name, email, and story to madison@caep.org and you could be featured in the CAEP “Alumni Spotlight” on the blog and newsletter!